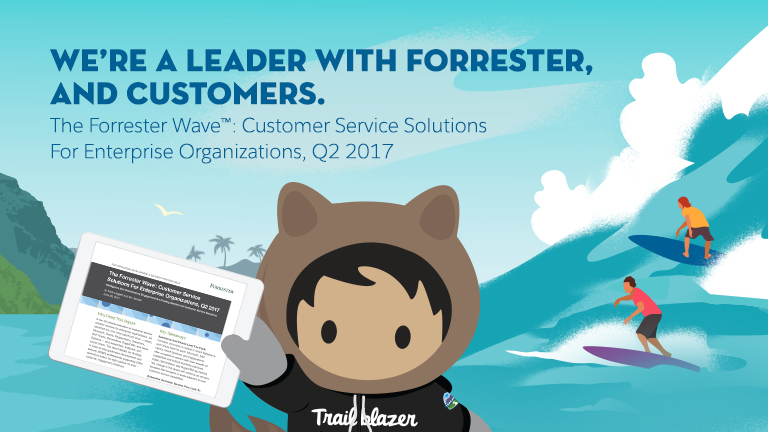 Forrester stated that “intelligence takes center stage,” and we believe that Service Cloud delivers. This year Forrester recognized companies that “win, serve, and retain customers focus on delivering tenets of great experiences: ease, effectiveness, and emotion.” We believe that it is because of our customers that Service Cloud was named not only a leader, but received the highest score in the strategy category, and was the only vendor with the highest possible score in the “reference customer assessment” criterion. Just fill out this quick the form to receive your complimentary report, and get unlimited access to thousands of other Salesforce resources.